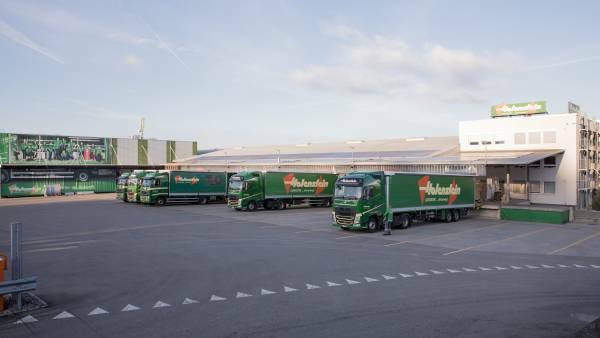 Thrifty transport talent for energetic purposes – Stöcklin Logistik AG. Förder- und Lagertechnik. 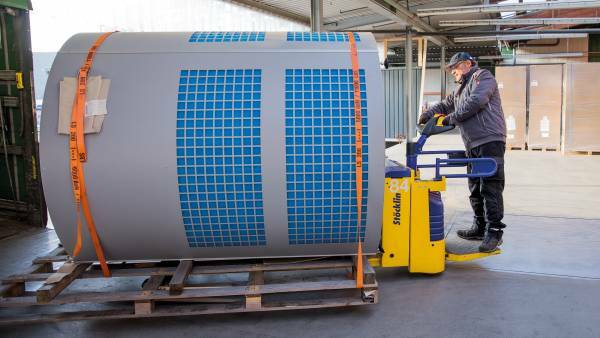 Although digitization and automation dominate public discussion, conventional floor handling vehicles still remain the indispensable “beast of burden” for ensuring smooth material flow in the field of intralogistics. 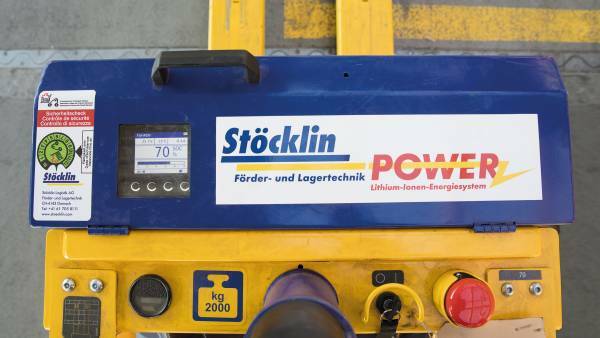 These vehicles are also essential for the Holenstein Corporation, whose roots go back to 1898. At that time the carts were still pulled by one to four horsepower. 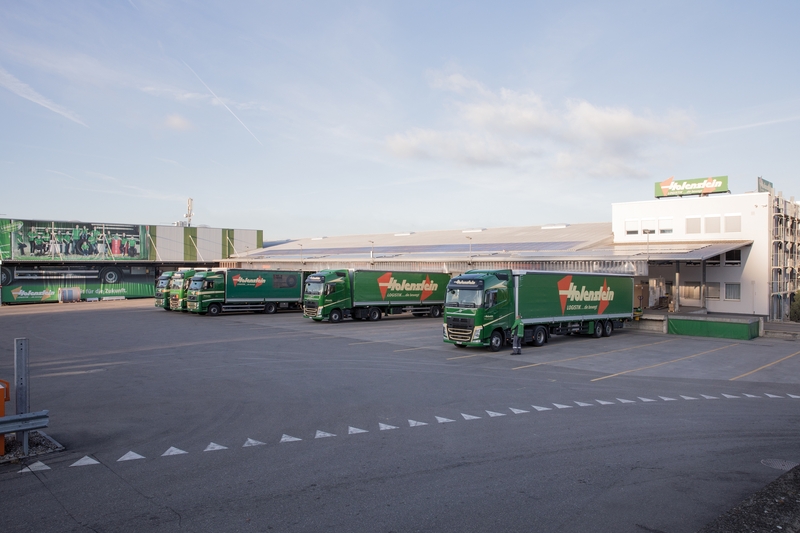 Today the Holenstein Group is a leading, full service logistic provider in Eastern Switzerland engaged in global activities, with offices in Wil, Schwarzenbach, Schaffhausen and Konstanz. 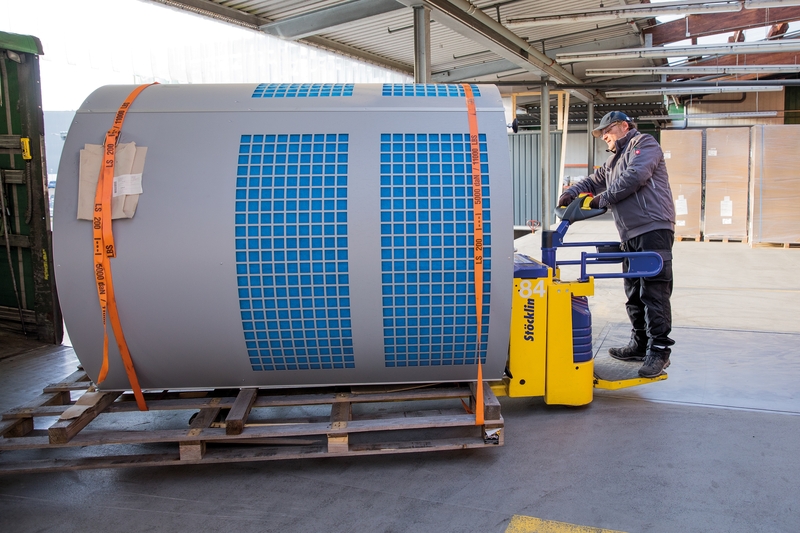 This family company’s range covers receiving inspection and storage to picking, assembly, packing, labeling and packaging all the way to transport to the final customer. 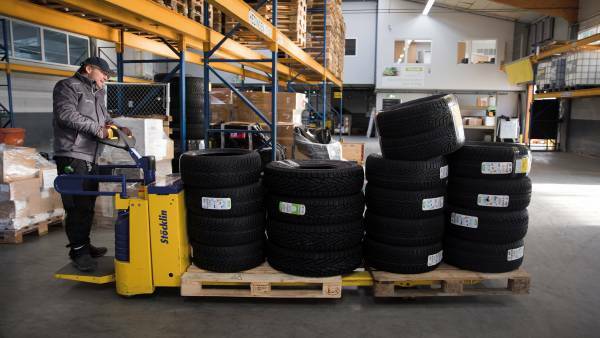 At the infrastructure level, more than 55,000 pallet storage bays and nearly 40,000 m² of conventional storage area are available. In terms of personnel, a staff of 300 ensure reliable and efficient handling of the logistic, transport and customs services. 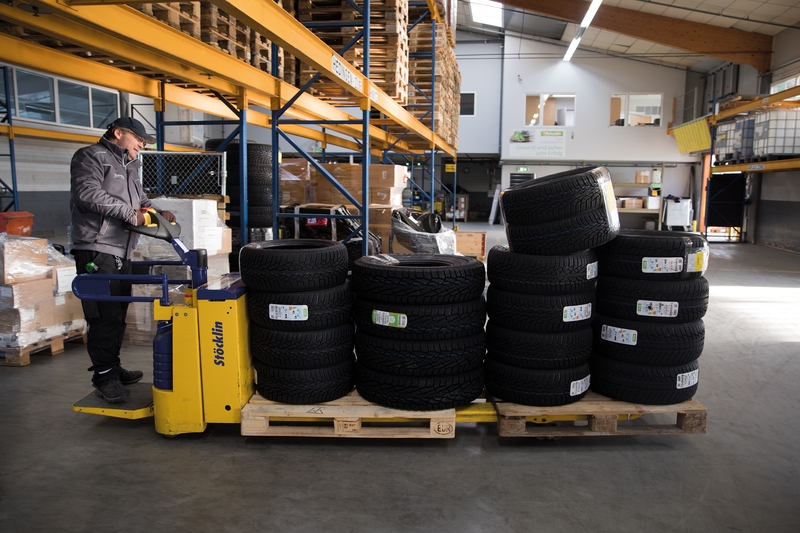 Primarily steel goods, machines and tires - as well as umbrellas, components and individual nuts and bolts are stored for customers. 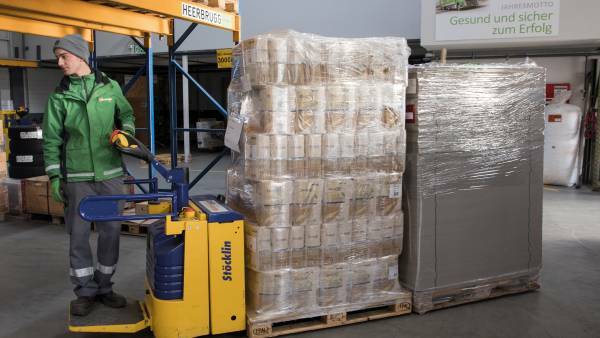 Depending on the characteristics of the goods, sufficient space is available alternatively in one of the automated high bay warehouses, in temperature-controlled rooms, in storage facilities for hazardous goods or in simple block storage. 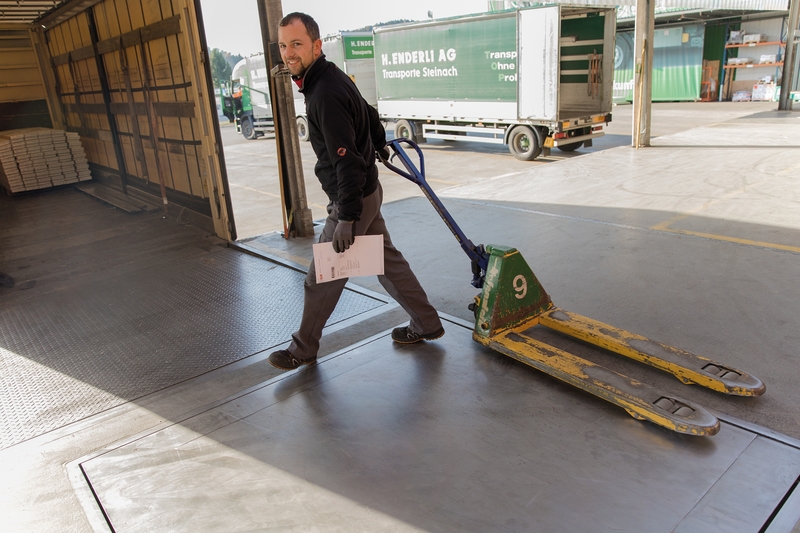 The integrated warehouse management system ensures that clients always have a reliable inventory of their goods. Their trust and the continuing success of the Holenstein Group are the best indication that cost-consciousness in combination with pronounced quality management pays off for all partners in the long run. said Peter Holenstein, Business Manager and Head of Logistics, who runs the company together with his 4 siblings in the fourth generation. “Especially this aspect was important as we started thinking about expanding the fleet. 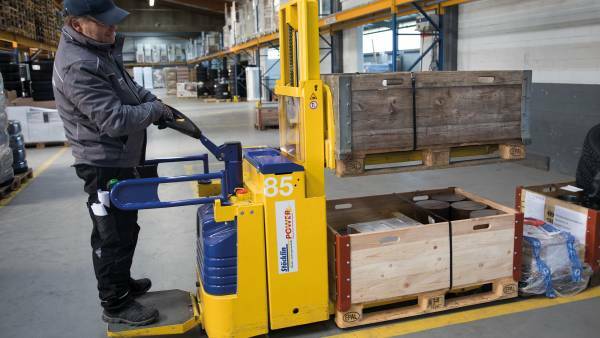 The very simple battery handling as well as the short charging times play an important role here.” Also in demand were fork lifts, which could reliably handle challenging ramp operation at the Wil location on a long term basis without power loss in the course of loading and unloading trucks. 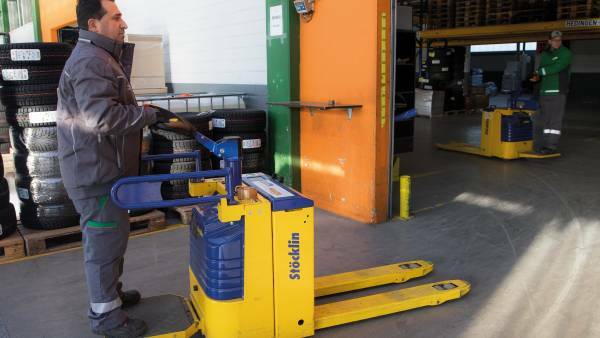 “To finally convince the customer of the capabilities of our drawbar lift trucks, we initiated demonstration events on site just before summer vacation during the months of May and June 2017”, reported Reto Jenni, Swiss Sales Manager for Stöcklin’s Floor Handling Vehicles Division. 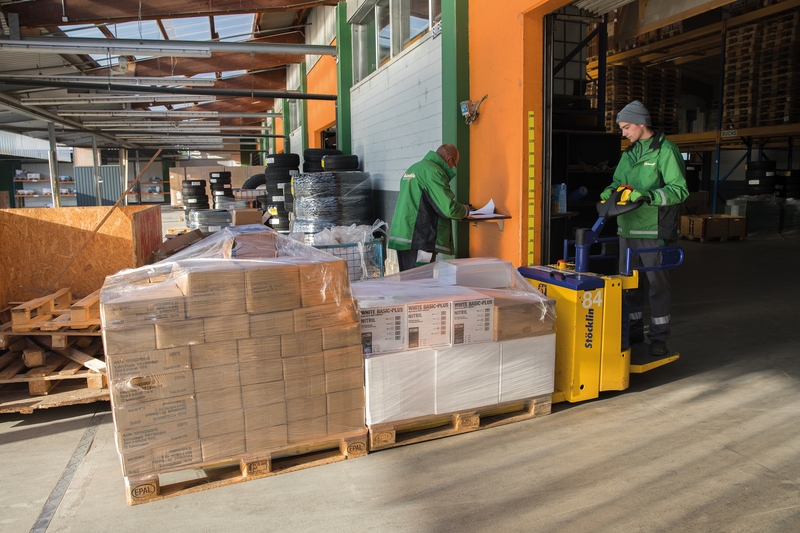 During this period, the fork lifts were painstakingly checked in live operation to ensure they met the defined requirements. 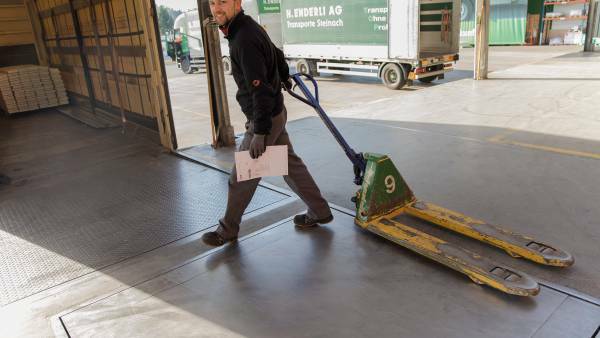 In addition to ramp operation, it was also necessary to verify operation and control in various handling and transfer zones, requiring traveling distances of up to 200 meters for each transaction. 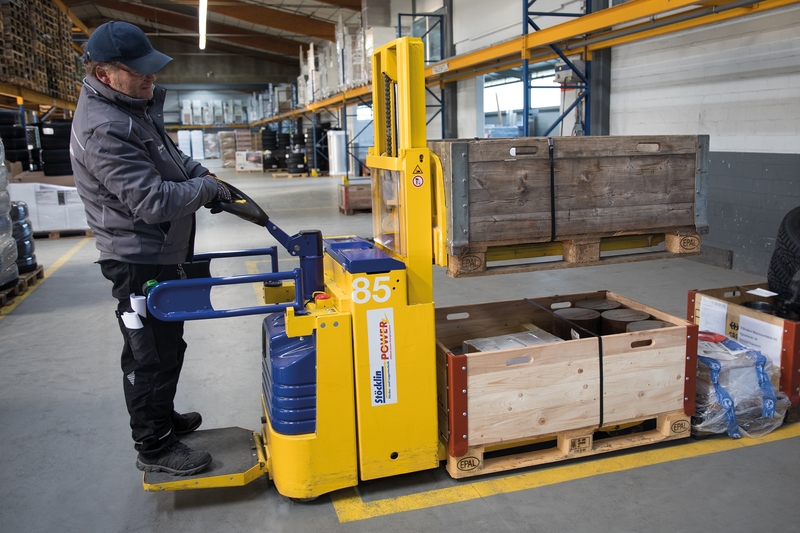 After ordering and delivery, Holenstein now has five EDP-P low lift trucks and one EDD-P high lift truck with hoisting height of 1,800 mm for double-height assignments. 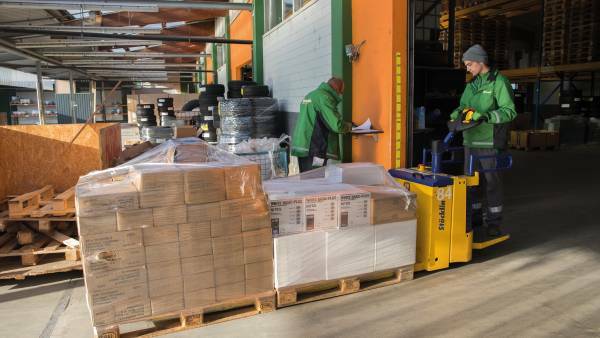 Two pallets can be picked up and transported simultaneously. 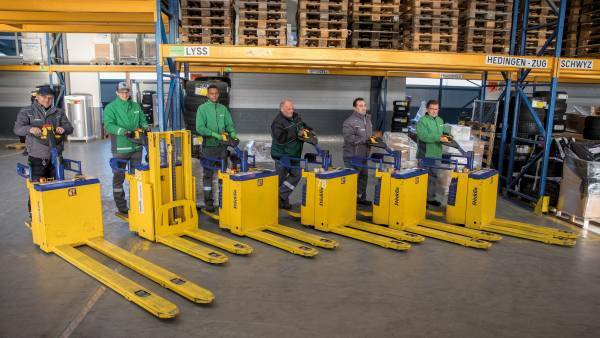 Four of the low lift trucks are equipped with 1,150 mm long forks. The fifth has a 2,350 mm long fork. 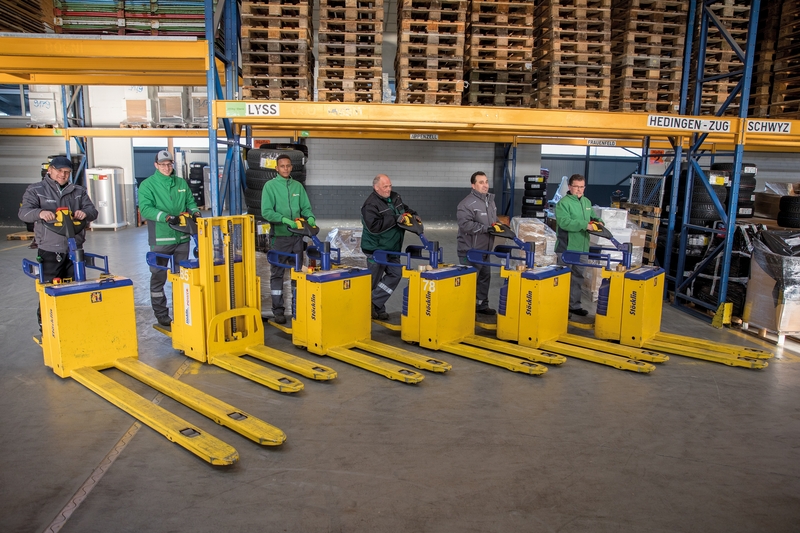 Each of these electric pedestrian controlled forklift trucks is equipped with a platform for the operator. 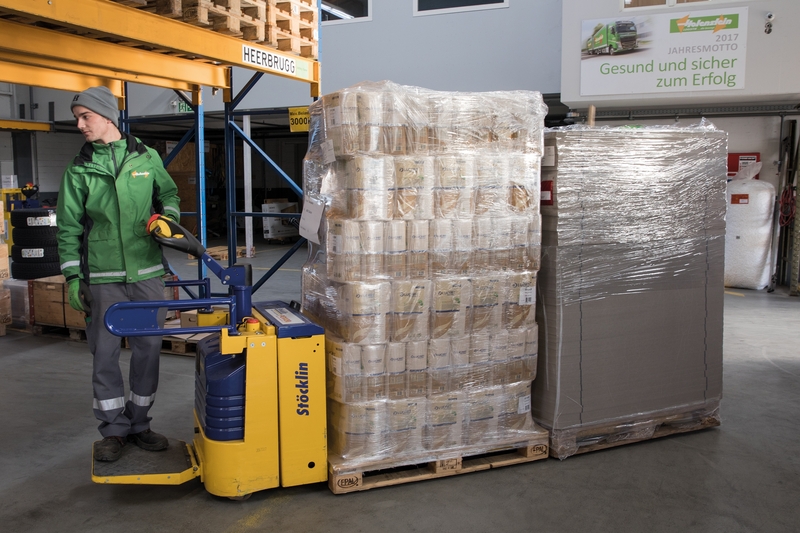 When folded up, the truck can be used as a regular drawbar lift truck. 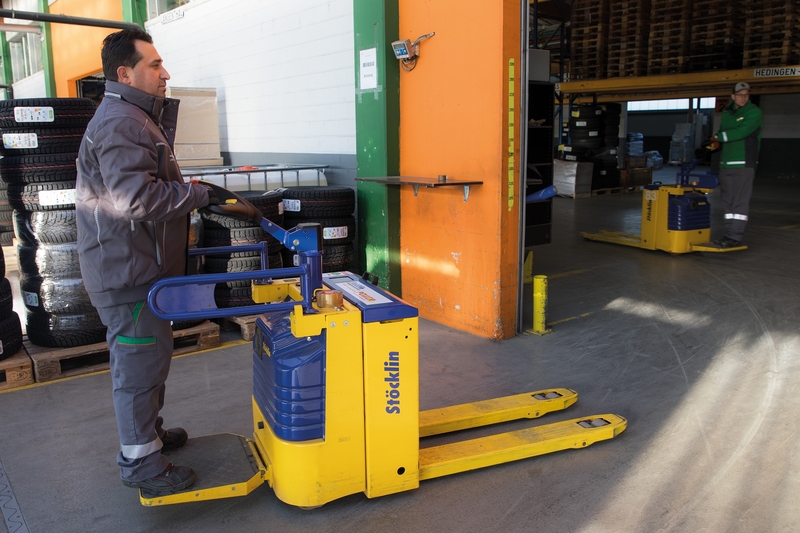 For increased speed requirements, for example, during peak seasons, the platform can be folded down, allowing increased operating speeds and higher handling rates. The lateral drive and a special support roller for compensating irregularities in the floor, ensure high stability and optimum traction - even on slopes. The maintenance-free three-phase drive unit and wheels are integrated into the chassis, where they are protected from any type of damage. The double steering roller guarantees maximum strength and easy turning. 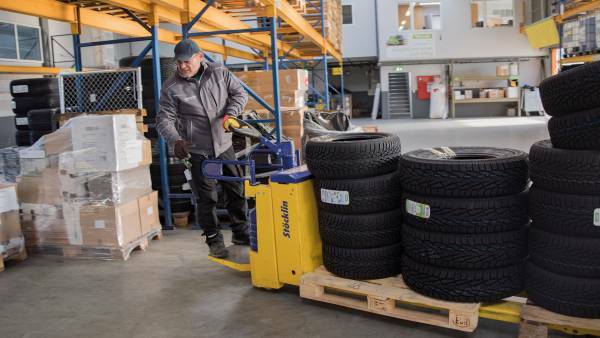 added fork lift specialist Reto Jenni. “The special operating features and mature operating concept is one side of the coin”, added Peter Holenstein. Other advantages include possible energy savings of over 30 percent and a five-fold increase in the service life. Not having to change batteries as frequently saves time, which can be used elsewhere for truly productive activities. And adding water is also a thing of the past. continued Reto Jenni. Moreover, the power required for recharging is low and the operation itself requires less than two hours. The service life is anticipated to be 5,000 charging cycles. An active battery management system monitors and protects the battery. For this purpose the temperature, voltage, current and charge state are measured continuously to prevent overheating, overcharging and/or total discharge. summarized Peter Holenstein. 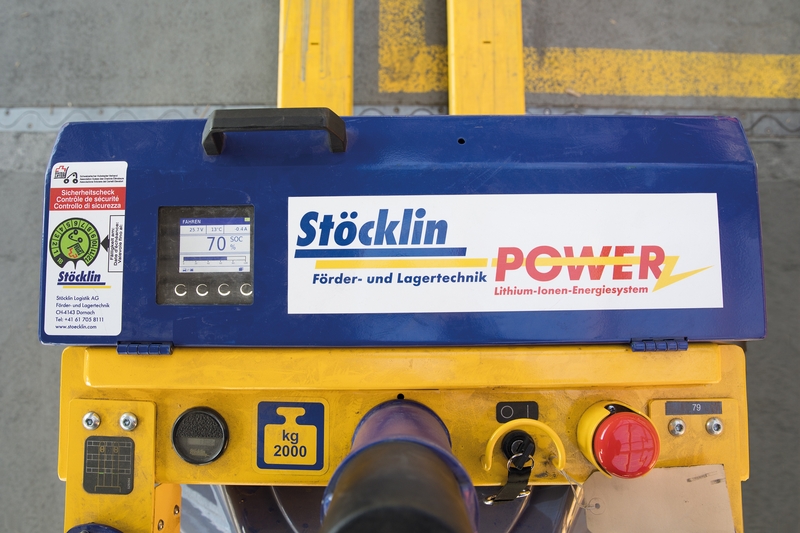 “The extremely sturdy design of the Stöcklin platform trucks with integrated Li-ion technology completely fulfills these requirements.” The vehicle also conforms to the logistics and transport company’s policy of reacting flexibly to changes in customer requirements and being able to reliably meet deadlines set on a short term basis according to the Just-In-Time principle. 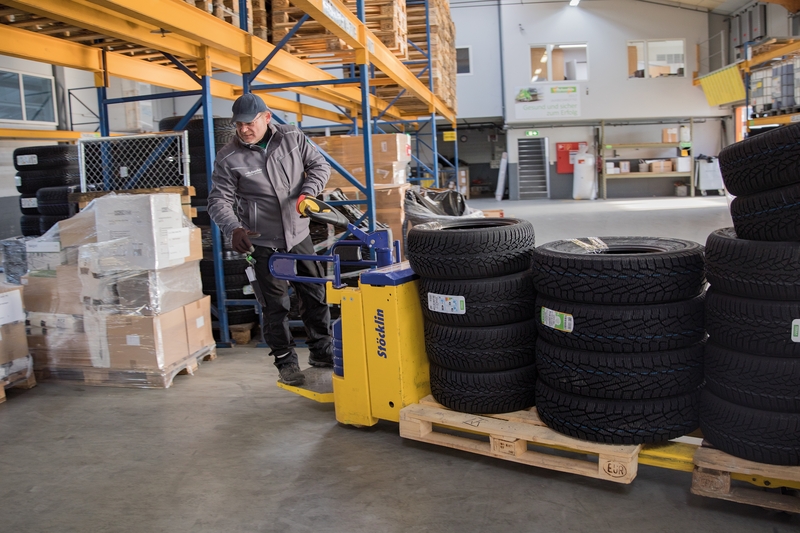 Just as important is the factor of being able to act with greater cost-consciousness and simultaneously help preserve our environment in the area of fork lift management.